This form is not sending the Notification email to the appropriate group. The Rep Confirmation email is going out (See Above). I have this form with conditions that if the customer number starts with 0-9 then it should send this to accounting@it1.com via the Notification email. According to our mail logs, emails are being sent. They are accepted and queued for delivery. Please check your Spam folder. 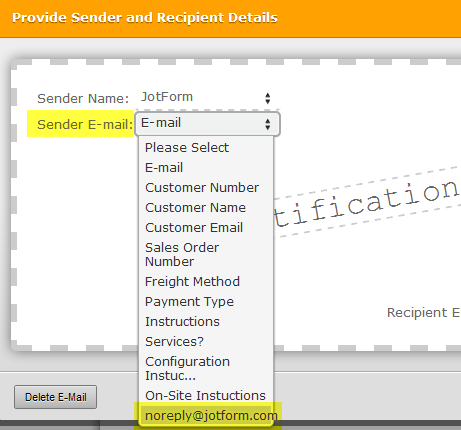 You may also configure your notification to use noreply@jotform.com sender address to see if that makes any difference. We checked in Junk Mail, and it is not there. I will try the no reply option. The weird thing is that some of the forms are making it. In addition to what my colleague has suggested you, please contact with your email provider and request them to add JotMail's IP Addresses to their whitelist. I created a new form Called Notficiaton 3 which sends the email as expected. The only condition that is applied to this form is when a check box is selected to send additional information to another email which it does. The forms with the condition to send a specific email when the customer number starts with either a letter or number does not seem to make it? I then tested utilizing the checkboxes on the form which should trigger an email with conditions met. As an example. I created 2 seperate tests with 3 emails that should have been created. Each test had a different one of two checboxes checked and then 1 with both checkboxes. The condition is to send an email if any of the checkboxes are checked. The first round I did not get any emails. On The second round I recieved only one that was created using the first checkbox. Could you please let us know what is the ID of the form in question? I checked your account and I could not find a form named "Notification3"
I have whitelisted your items and I still do not get all my information. I created a seperate form with no conditions and it works. 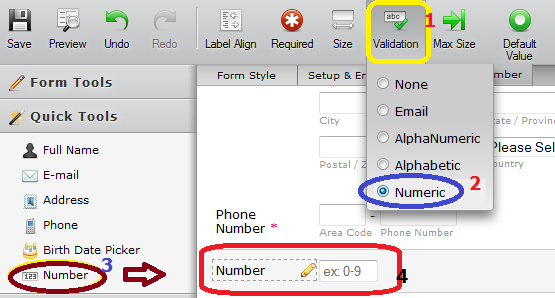 The forms with the conditions that the customer number starts with 0-9 does not go out all the time.